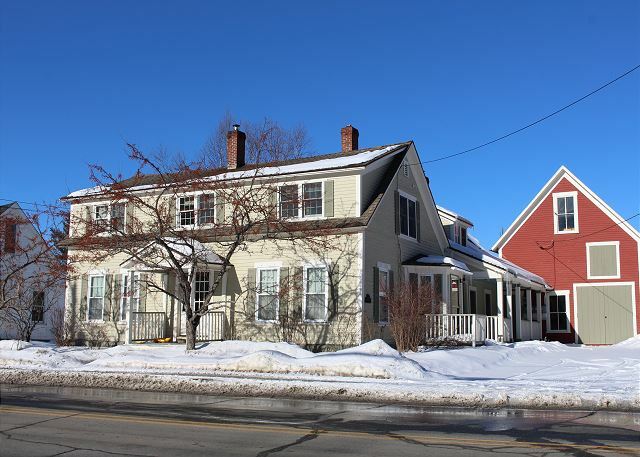 Conveniently located in the heart of downtown Franconia, New Hampshire! A shot of the entire property, 3 apartments in all. 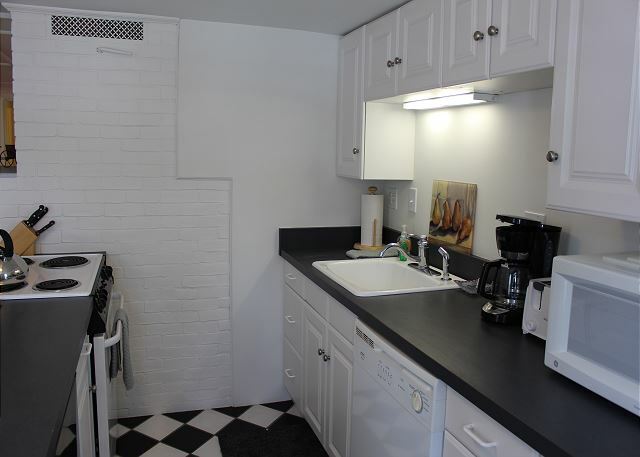 Enter into the galley style kitchen, with extra counter seating not shown. Crisp, clean, and freshly painted. Please note: fridge is not full size. The combined living and dining area is both warm and inviting, with sliding doors shown here which lead to the shared back deck. 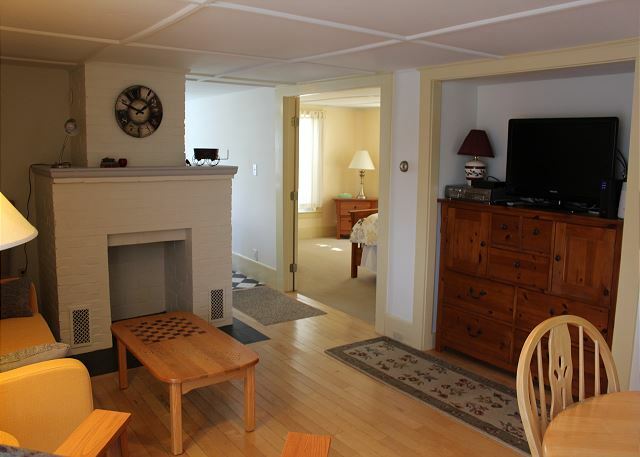 Although not a working fireplace, it is a unique focal point for the room. Settle in beside it to watch your favorite program on quieter days and evenings. 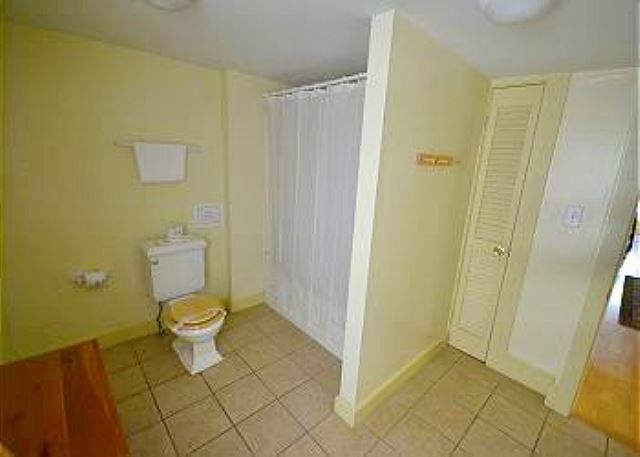 Large full bathroom with linen closet. 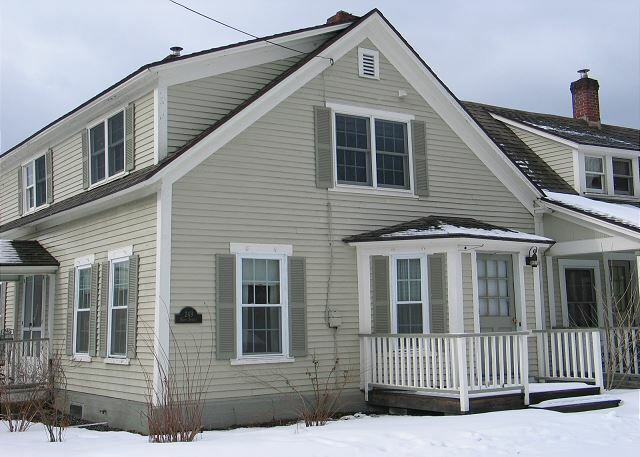 A Professionally Managed Franconia Notch Vacations Property, the "Franconia Cottage on Main" is a most convenient, cost conscious accommodation located in the small town of Franconia, NH, and just minutes away from all the best trail heads for hiking NH's Western White Mountains; like Mount Lafayette, Kinsman, Lincoln and so many more. For the less vertically inclined, the Franconia Town Trails are all but just outside the door, as they weave through and around the town and surrounding valley. 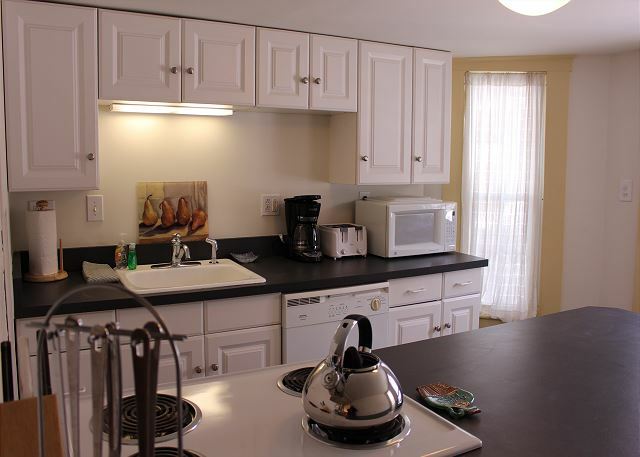 With 2 nicely appointed bedrooms, one with a queen bed, the other with 2 twin beds, a good working kitchen, plus a living/dining area, and one full size bath, your family or friends will rest in relaxed comfort at days end in this condo style home. 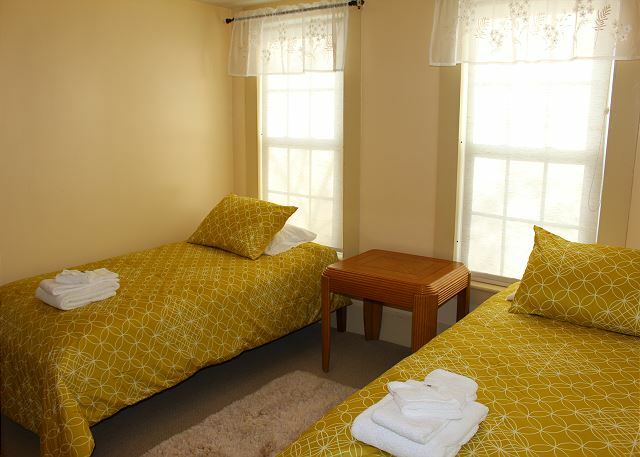 Whether you spend your time tax-free shopping, fee free hiking in Franconia State Park, or experiencing as many White Mountain Attractions as you can, the "Franconia Cottage on Main" was furnished and finished to satisfy. Easy walking to local restaurants, stores, playgrounds and of course, the town's two coffee shops. Call to make your plans today. 800.247.5536!! SKI Week vacation and this rental was PERFECT for my family of 4. Easy drive to Cannon, Bretton Woods, Waterville Valley and we even made a super easy trek to North Conway. 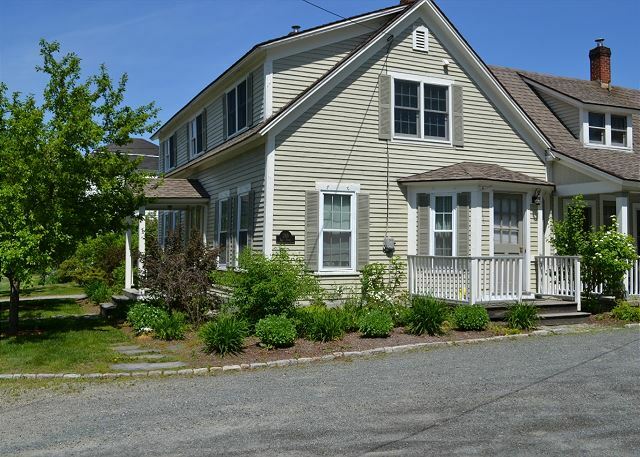 Well maintained and perfect size balancing a place to sleep, eat and have some good family fun! The property was perfect for a week long stay for a small family. Cort, the property manager, was extremely kind and responsive and took care of all of our needs. We had another great winter here, we love the Franconia Cottage. 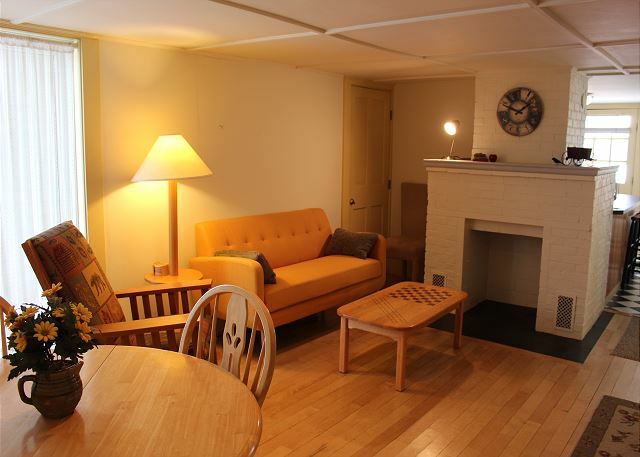 Its cozy and in a prime location, just 5 minutes to Cannon. It has all the amenites of home. Great place to stay. 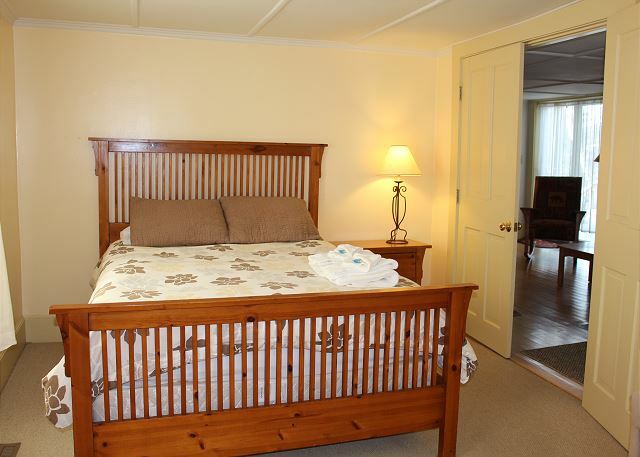 Great place to spend the winter, close to Cannon Mt, and right in town to take advantage of the amenitities.